This holiday season, give that special someone what they really want — show-stopping hair! 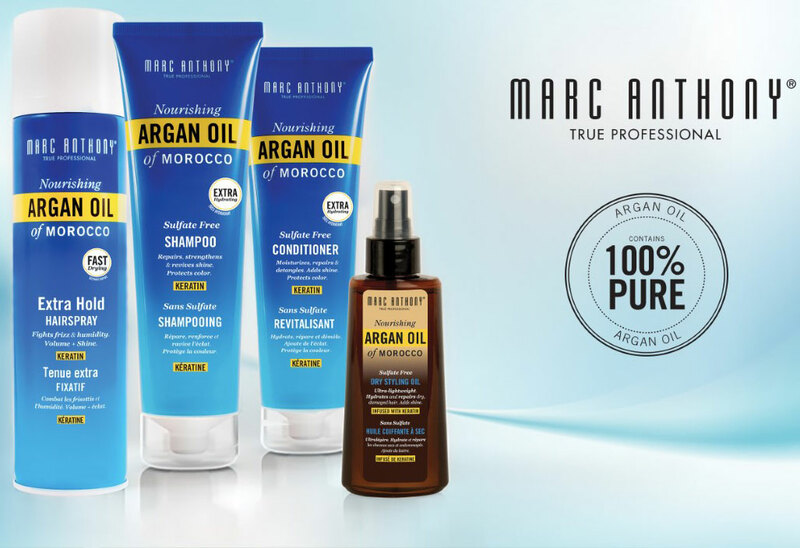 Nourishing Argan Oil of Morocco Deep Hydrating Treatment: Restorative Weekly Treatment infused with Argan Oil, Keratin and Grape Seed Oil combat damage, breakage, split ends, dryness, dullness and frizz. Deeply penetrates leaving hair hydrated, restored, and nourished with added strength and luster. Improves manageability. Curl Envy Perfect Curl Cream: A moisturizer and styler in one with a hydrating boost of Shea Butter and Avocado Oil. It smooths, softens, defines and controls coarse, frizzy curls. Dream Waves Beach Spray: Create natural, effortless, beach hair worn loose, soft and wavy. It adds body and texture to straight, fine strands or pumps up the curl in already wavy hair. Hydrolyzed Silk and Provitamin B5 protect your tresses while adding moisture and shine. Clear Dry Shampoo: Instantly cleanse your hair without the wash while absorbing excess oil and adding volume to flat, lifeless second day hair. Nanotechnology and Zeolite, a micro-porous mineral, invisibly cleanse hair without a chalky residue while eliminating odor to refresh and revive hair. Hydrating Coconut Oil & Shea Butter Dry Styling Oil: Goes on dry! This ultra-lightweight oil instantly absorbs into strands to hydrate dry, brittle hair without a greasy, heavy feel. It smooths frizz, prevents breakage, adds glimmering shine and touchable softness.